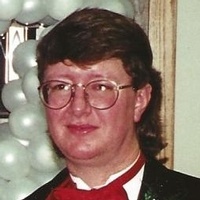 Charles “Chuck” F. Peterson, 56, of Ellsworth, died Monday, December 10, 2018 at Munson Medical Center in Traverse City. He was born March 31, 1962 in Lansing, MI to Okey and Isabel (Edson) Peterson. Chuck served in the US Air Force from 1982 to 1986. Chuck enjoyed cooking, reading, going to the casino, working with small engines and socializing with his friends. Surviving are his sister Joni Wieland and significant-other William 'Griz' Patenge; special friend of the family Ruth Cunningham and children Jack and Megan of California; nephew Josh Wieland of Ellsworth and niece Jamie (Ryan) Fischer of Bellaire; great-nieces Brooklyn, Payton and Keely Fischer; aunts Joan Blake of Garden City, Carrie Edson of Boyne City, Catherine Hults of Clermont, Florida, and uncle John Wynsma of Byron Center; and many cousins and friends. He was preceded in death by his parents, a half-brother Gary Peterson, brother-in-law Dan Wieland, and nephew Eric Peterson. A memorial gathering will be held in the springtime. For those wishing to make memorial contributions the family suggests Good Samaritan Family Services, P.O. Box 206, Ellsworth, MI 49729. The family was served by Hastings Funeral Home in Ellsworth, online at www.hastingsfuneral.com.